Lederman introduces likability by posing the “tried and true” question, “Who doesn’t want to be liked?” In some manner, in some fashion or way, we all want to be liked at some point or another. Michelle provides an insightful and practical take on being authentic to build positive self knowledge of one’s self; and the attitudes and social skills that help you understand and relate to others. Although, many of the supporting facts for the 11 Laws are common sense, we all could use a little reinforcement from time to time. 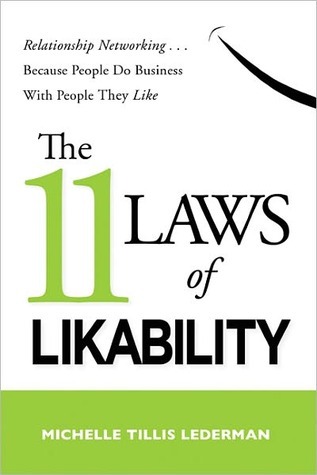 Through the 11 Laws of Likability you learn the importance of being likable (not liked), liking yourself, and liking the people we meet. The biggest takeaway I shall forever remember is that “the world is a mirror.” So what do you see?